iTube – is a solution for tube and bar packaging with stretch film. iTube is available together with a material contract. iTube is a solution for tube and bar packaging with stretch film. It is an optimal solution for service centres and mid size production spaces. This semi-automated system does the heavy work of packing automatically. 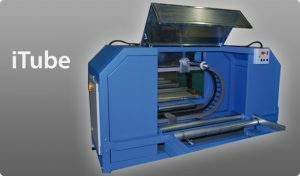 A variety of materials like Lamistretch and Lamistretch Extra can be used with this machinery. This automatic packaging system will allow you to update your packaging line for more efficient solutions without investments. 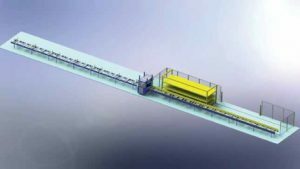 The concept is based on leasing the system that is adapted to your packaging volume and bundle sizes, including a contract for packaging materials. Allowing you to pack individually compiled bundles of tubes & profiles as well as plates, depending on customer needs. Single source supply – Lamiflex is responsible for providing materials, machinery and maintenance support. Suitable for low volume manufacturing or tube, bar and profile wholesalers and service centers. The cost of the machine is recouped by charging for the packaging materials used during the contract period. Maintenance and service for the machinery will be coordinate by our service partner and the cost will be paid by the user.